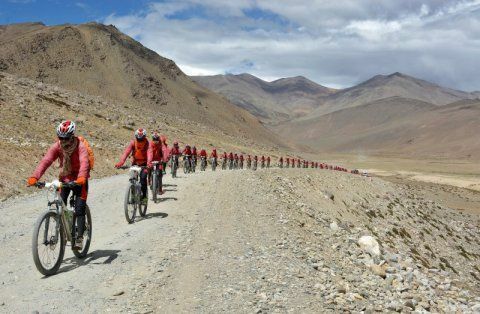 Five hundred nuns from the Buddhist sect known as the Drukpa Order, on Saturday complete a 4,000-km (2,485 mile) bicycle trek from Nepal's Kathmandu to the northern city of Leh in India to raise awareness about human trafficking in the remote region. "We wanted to do something to change this attitude that girls are less than boys and that it's okay to sell them," she said, adding that the bicycle trek shows "women have power and strength like men." From honor killings in Pakistan to feticide in India and child marriage in Nepal, women face a barrage of threats, although growing awareness, better laws and economic empowerment are bringing a slow change in attitudes.